It was only five years ago that Oren Peli began to terrify us with the first Paranormal Activity film and the scares still keep coming. Chernobyl Diaries is his first original project as writer since the aforementioned feature and reminds us he is not a one trick pony. A group of 20-somethings decide to try some 'extreme tourism' and with their local tour guide, sneak into the abandoned town of Pripyat, site of the Chernobyl disaster. It is gradually revealed that the town is not as isolated as they originally believed. The real selling point of Chernobyl Diaries is the setting - the mere title along has become synonymous with sheer unsettling chills. Director, Brad Parker captures this through use of Serbian and Hungarian locations which look eerily like Pripyat and Chernobyl - giving the film a bleak realness. 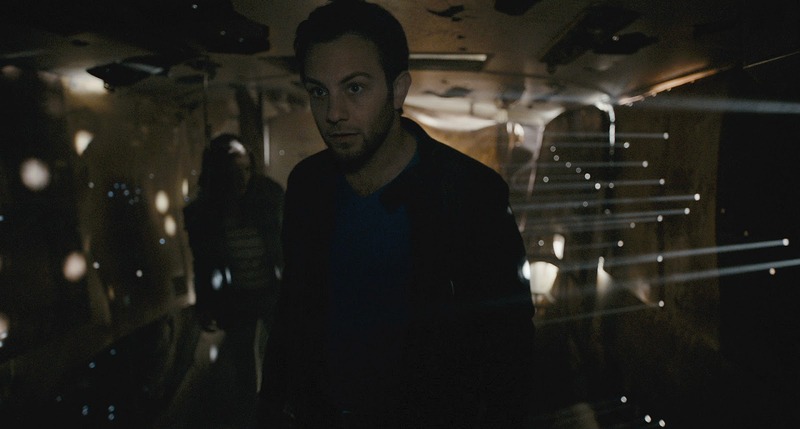 Crumbling buildings, decaying ferris wheels and looming nuclear reactors are just some of the details that Chernobyl Diaries includes to capture the image of the abandoned town. Peli's script unfolds with a slow unease, with the tourists slowly being shown signs that things are not right within the town. From mutated fish and freshly lit embers to glimpses of figures in doorways - these small signifiers help build up some understated chills and atmosphere, in a similar manor to gradual disturbances in Paranormal Activity. 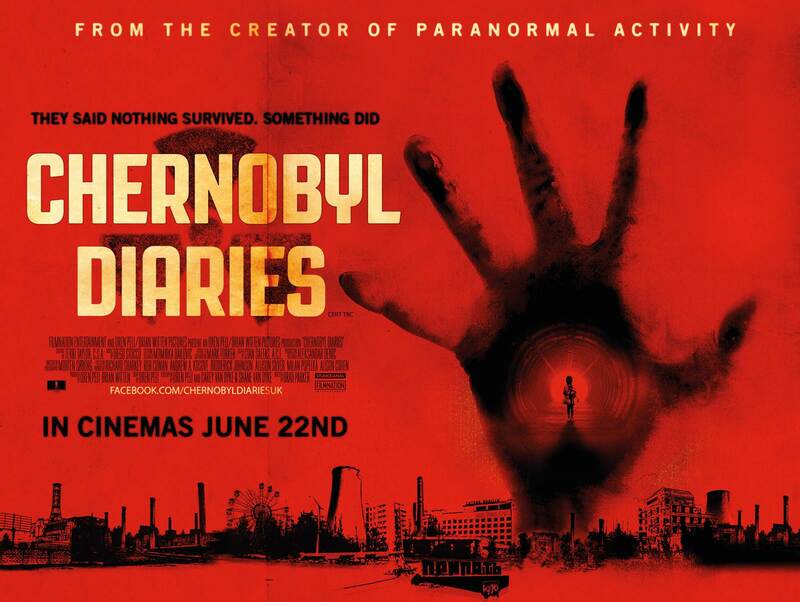 Fortunately, it is quite refreshing that Chernobyl Diaries opts not to dwell on the handheld camera style which has become rather tired and played out in recent years. When the thrills and scares do come, Parker directs with an expected competency - featuring slow shots round corners and occasional moments capturing figures in the distance. There is nothing truly groundbreaking here, but the scares and jumps work well enough. One scare comes as a result of the most unexpected bear attack in any film to date - not what I'd expect to be writing in a film about Chernobyl, but it works - I jumped. The last act in particular proves to be tense with a frantic excitement, we see the tourists chased by a pack of wolves over a decaying bridge - however much worse things wait at the other side. This builds up to the a well-crafted conclusion which verges on being a zombie movie, all that built up tension is finally tipped in a dark chase round the site of the reactor. Peli's script concludes almost feeling like something crafted by Xavier Gens, with the last few shots proving to be slightly disturbing. Viewers are unlikely to have much compassion for the characters - as they are essentially trudging around the site of tragedy for some cheap thrills (many Chernobyl charities drew the same comparison with the film in general). However, the performances are all strong with Jonathan Sadowski shining in particular as the guilt-ridden tourist who planned the trip in the first place. Chernobyl Diaries is not groundbreaking horror cinema, but it proves to be unsettling and entertaining enough to merit watching. The locations alone help Peli's film standout as an intriguing and unique horror tale, as well as a vast number of unexpected, well-handled scares.